If you thought Facebook was the only place you could get reviews and feedback on products, you haven’t seen Influenster yet. Influenster is a large community of over 1.5 million social savvy shoppers. In addition to the latest product news and expert tips, they review products and share personal experiences. The Freshpet community on Influenster is no different. A large number of Freshpet users are registered and are fully engaged in giving their honest feedback to help other pet owners. 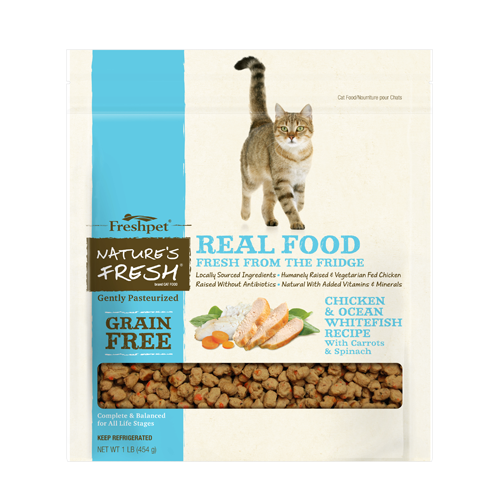 Check out what users say about Freshpet Food on Influenster. “I have a senior dog who has lost most of her teeth and I started buying her Freshpet. 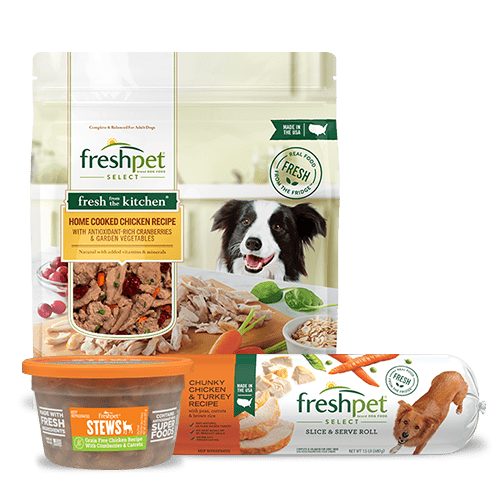 Freshpet is much easier for her to eat and I like that I can feed her something that is not only easier for her to eat but also healthy for her. Since I've been feeding my dog Freshpet she has had more energy and looks a lot healthier. 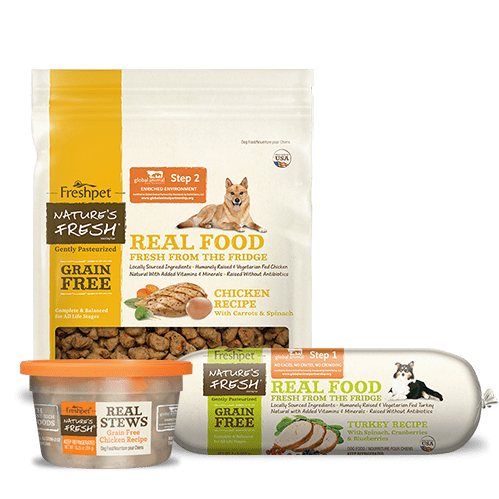 I usually buy the Freshpet rolls in chicken flavor but I also sometimes buy the tub in chicken flavor as well as the sausage shaped chicken treats they have. 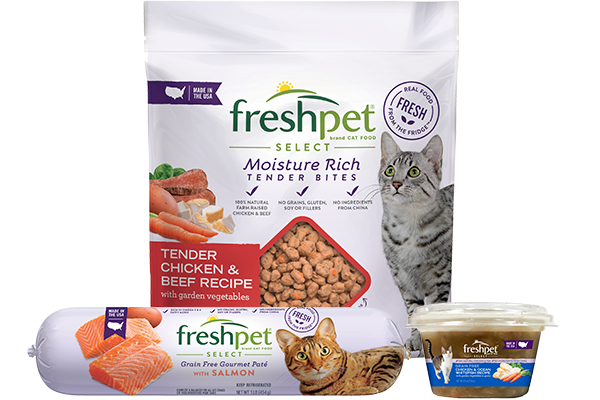 Everything I have tried from Freshpet my dog loves” – Susan A. 3) - Allie’s dogs love the different Freshpet varieties! “My dogs are now really picky and won't eat anything other than their fresh pet. 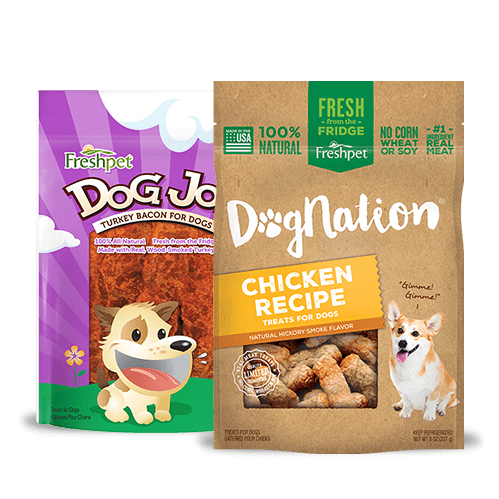 They have tried the bagged food, and the tube food and they like them both” – Allie S.
“My pup absolutely loves the FreshPet Select Slice and Serve Dog Food and starts dancing around the kitchen whenever I pull it out of the fridge in the mornings. I feel good feeding him a fresher dog food with good ingredients (animal protein/veg.) 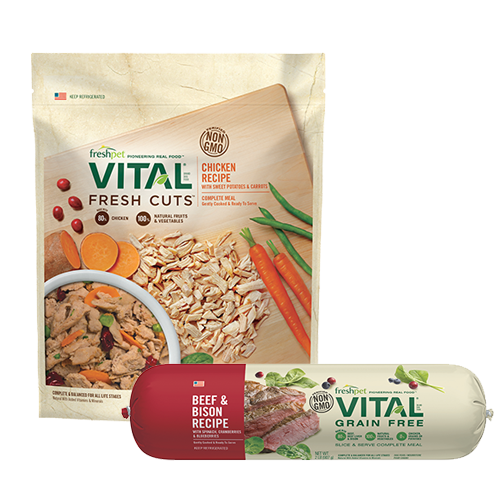 I find that the rolls are moderately priced, convenient and I feel better knowing that my dog is eating ingredients I recognize” – Lexy N.
Perfect, easy to feed, semi-soft food for my senior Boxer with dental issues!!! He loves it! It's not messy to serve like most soft dog foods. And the amount if sodium is so much lower than similar products made by alternate manufacturers so I feel better about feeding it to him! I went through so many foods for Bentley and for years he would eat the food I purchased whether raw or store bought canned food for a couple days and would just stop. I’ve been using Fresh Pet for over 4 years now consistently and he loves it! So whether you have a dog or a cat, a picky eater or a no-fuss pet, a healthy or a sick pet, Freshpet has recipes that are nutritious and your pet will love. 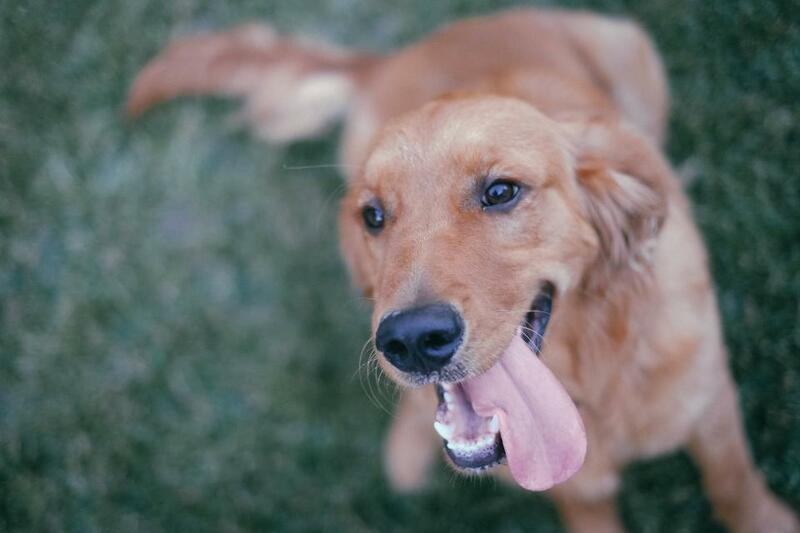 We combine health with taste to make sure your pets enjoy their meal time. If you have a Freshpet story to tell, please share it online. My pet wasn't eating at all in March. Started warming her food and that helped some. Then I tried fresh pet and she loves it.! My husband suggested we give her less then recommended as she is about 10 lbs over weight. Not sure what to do as she only eats once a day. But she really likes any of the fresh pet I've purchased. First time trying fresher... My Maggi adores it... She so picky.. We don't have to worry about dilemma any longer it's fresher n the fridge. 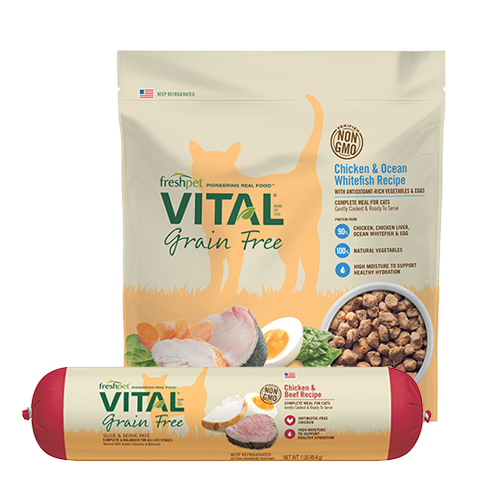 My dog loves the Freshpet Vital rolls! But I've been having an issue recently finding it in stock in the stores in my area. Any suggestion as to what I should do? Thanks for reaching out, Mary. We're so sorry to hear that you're having an issue finding our food in your area. If you're up for it, could you please give our Customer Care team a call at 1-866-789-3737 so that we can look into this further? Thank you.